The Friendly neighborhood was the recipient of a Eugene neighborhood grant for fruit tree gleaning, processing, and educating this year, thanks to Matt Lutter and his partner, Jessica Jackowski, who also organizes work days for the exemplary Common Ground Garden, a neighborhood community garden staffed by volunteers. The Friendly Fruit Tree Project has spent the last month harvesting neighborhood trees and plants like crazy: blackberries, plums, apples, pears, etc., etc. Last week, it was apples. Amber gold. Oregon T. They managed to source an unused cider press in someone’s shed, and we all pitched in and took home some great cider to share! 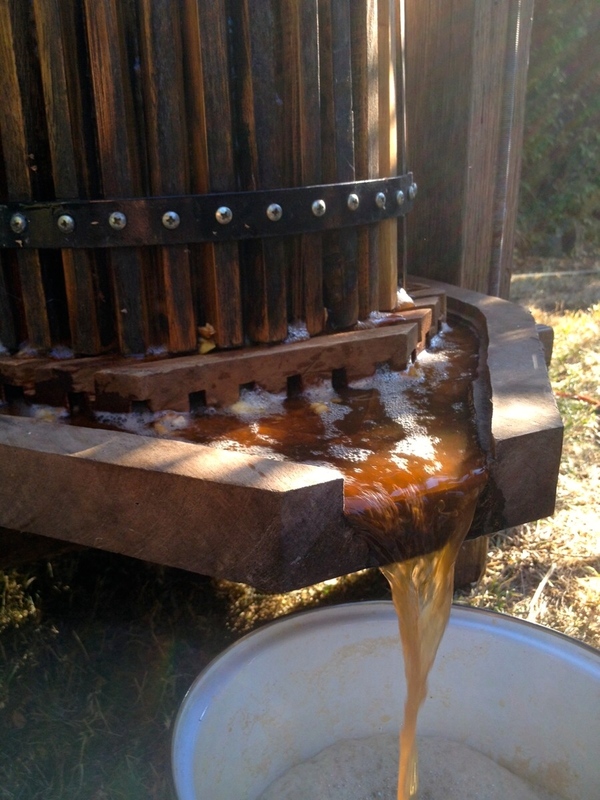 Using the press was much easier than I had expected; it’s a relatively simple operation, with a motorized rotor on one end to grind the apples and a hand-powered press to crank down the juice. Apple bits got composted. No waste, very little muss, very little fuss. And of course, it was a brilliant way to connect with likeminded urban homesteading folks in the ‘hood: we shared cider recipes, taste-tested beet kvasses and hippie cookies, grumbled about grapes (ok, that was me), and watched apple-cheeked kids running around like monkeys. What a wonderful paradise we live in. See the full album here, and if you’re interested in taking part or spreading the word about the project, comment and I’ll make sure Matt gets your info. 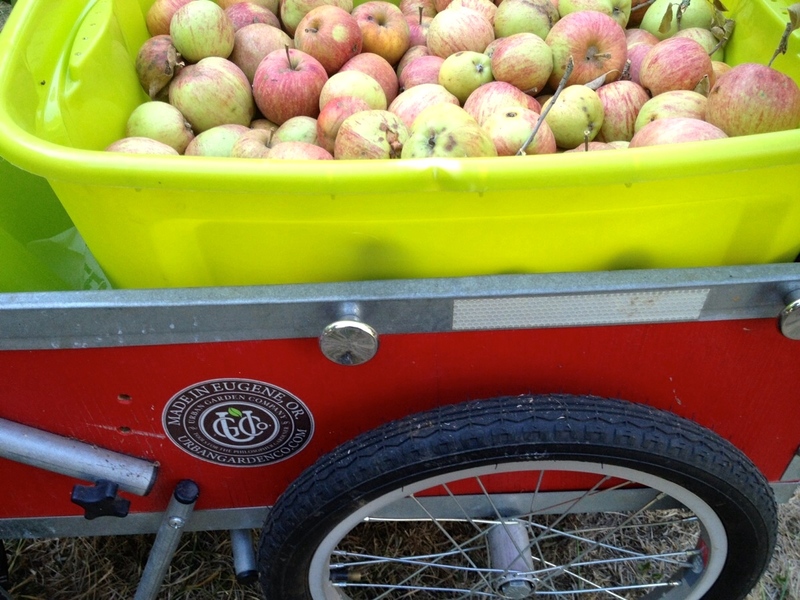 It would be wonderful if other Eugene neighborhoods could get in on the gleaning action, since it’s such a service to those with unused fruit and to those who want to do the labor to share in the harvest. The project was also the source of my prune plums for my recent lekvar undertaking, coming soon to a blog post near you.